Introducing the new facebook live audio that lets you broadcast without your camera, making it easy for you to reach your fans or business partners without worries about how you look or how your background looks like. this is a cool feature on Facebook, if you are the shy type or you just want to pass a message by reading scripts, live audio is the best for. The facebook live audio does not require strong network like that of live video as it only captures your voice. As said by facebook pr, people using facebook android version can listen to a live audio broadcast if they minimize the app or lock their phone while iPhone users can also continue listening as they surf other parts of Facebook. 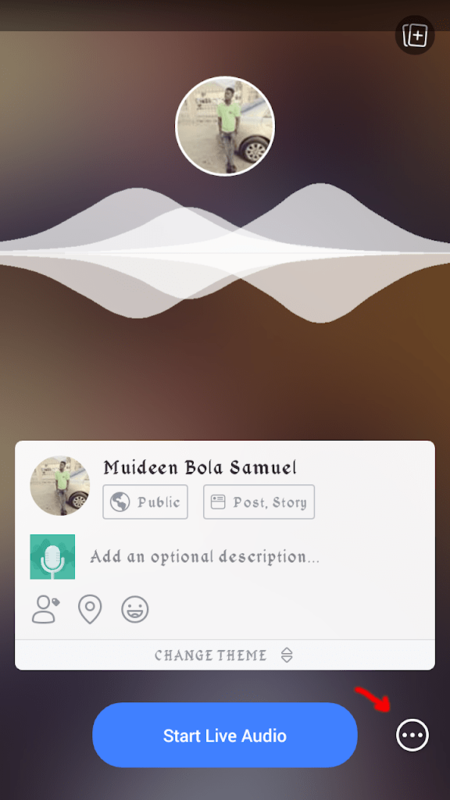 Just like live video on Facebook, listeners can discover your live audio in news feed, leave a comment and reactions during streaming and can easily share with their friends. When you launch your facebook app from your iPhone or android smartphone click on the section for status update, there you will see “Go Live” click on go live you will see (…) at the bottom left click on it and select the live audio option, add description to your audio, when you are ready to go Live click on start live audio, when done with your broadcast you can share it on your wall. Note: this tool is only available for Android smartphones and iPhone, we hope this feature comes quickly on desktop computers. Please don’t forget to share with friends. The feature is available on iPhone LUNA just follow the steps correctly and see image for better understanding, Thanks.